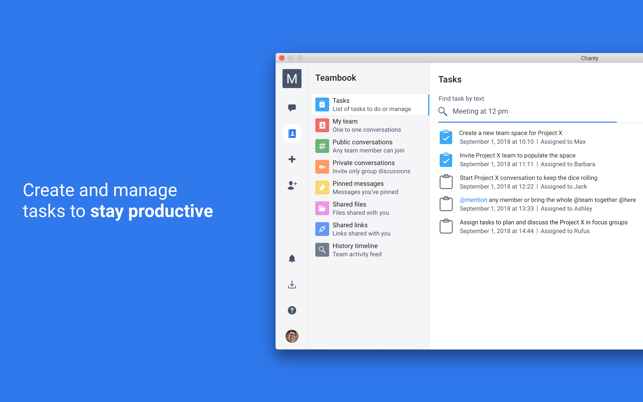 Chanty helps small teams become more productive with clean interface and seamless user experience. 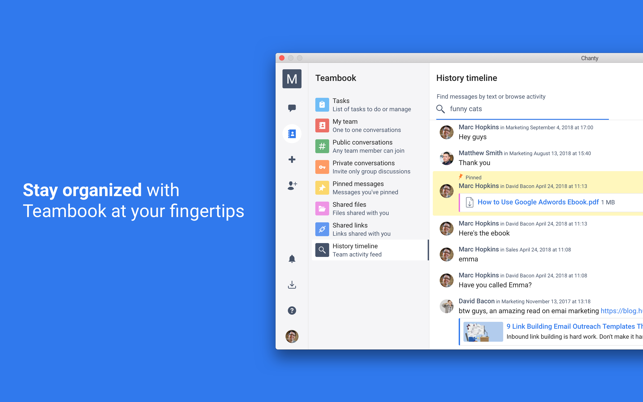 Unlimited message history, task management, file sharing and powerful notifications organize and save your day. Feel free to follow us on Twitter @Chanty. - Unlimited 1:1 audio calls across all platforms. 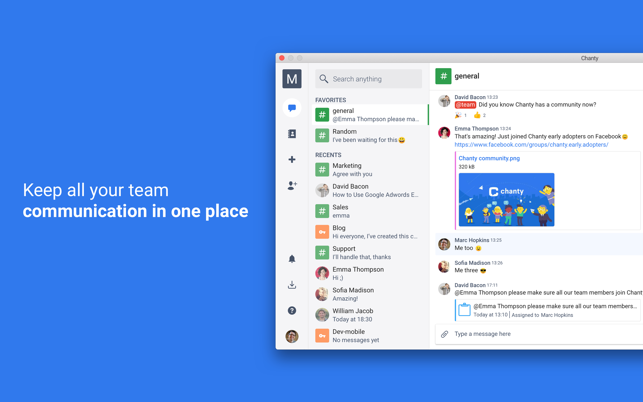 Call any member on your team with audio to speed up your collaboration. - Mark messages as unread in any conversation. Decide which messages need to stay unread and wait for your reaction. - Code snippets support. Create, edit and share code in 40+ programming languages for seamless and context-based collaboration. So much more than a team chat app! 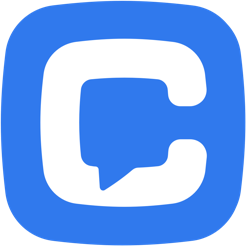 Still in development and already the best chat app on the market. My team and I love Chanty and we can't wait to see what kind of new features roll out soon! Thanks for a feedback, Ilene827.